What is the Ideal Salary Figure for Happiness? What salary level does it take to make employees happy? This is the question that reward professionals, recruiters, employer brand strategists would all like to have a simple answer to. And this is especially true as the new year rolls in along with new opportunities for employee poaching. In fact, a recent study by staffbay.com found that 87 percent of workers plan to look for a new job in 2014. This is even more reason to determine what salary figure it takes to keep workers happy, thereby retaining employees. Of course, most of you might say, it depends on what job they are doing, where they live, how old they are, etc. And you’d be right; each person’s ideal salary level for contentment is personal and related to his/her individual circumstances, but it might interest you all to know that there are several studies that outline the ideal salary level/range for happiness based on surveys of thousands of employees—and we have outlined some of them below. For example, a recent Marist Poll, Generation to Generation, Money Matters, shows that financial income is a key factor influencing quality of life and happiness, and there is a magical salary threshold/figure for happiness—$50,000 a year or more. Individuals earning over this amount report higher scores on life satisfaction criteria such as: family, neighborhood safety, spiritual life, housing, health, friends, free time, community involvement, work life balance and finances. Individuals earning over $50,000 a year are more likely to call themselves “happy” and are more positive about growing older. What they also discovered was that peak happiness occurred around an annual salary range of $50,000-$75,000. Princeston University Woodrow Wilson School also contributed to the debate with its own research, and it found that the sweet spot for happiness was an annual salary level of $75,000. The School also found that employees who earned higher than $75,000 did not seem to report any significant further increase in happiness. Does this mean that reward professionals can go out and start capping their company pay structures at $75,000? Of course, the ramifications of such a pay policy would be mind blowing, but I should probably nip these thoughts in the bud as there is additional research from the University of Pennsylvania and the University of Michigan that claims there is no financial salary ceiling at all to happiness (the Gordon Gekkos of this world can rest easy!). In their international study, they found that income is related to well being and happiness, and they found that well being rises with income. They found that richer people report higher levels of well being than poorer people and that people in richer countries do on average experience greater well being than people in poorer countries. But, most importantly, their study confirmed that there was no satiation point above which income and well being were no longer related. This means the more people earn the happier they will report to be, according to this study. However, another study by Career Bliss of 64,000 people found that there was a financial salary ceiling for happiness and that was between $400,000 and $500,000 per year. After this, the Career Bliss research found that happiness declined slightly. So, what’s the conclusion to all this? Well, it seems that not only can money buy happiness, apparently there is a significant happiness sweet spot between $50,000 and $75,000 annual salary. 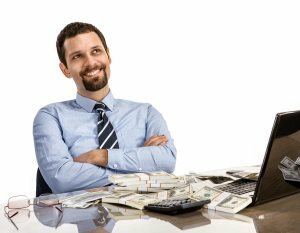 Yet, happiness continues to rise in relation to salary up to $450,000 per annum, the magic salary figure for happiness, after which point it declines.